THERE are some fantastic family activities at Whitehaven's Beacon Museum during the summer holidays. They accompany the amazing Brick Dinos LEGO exhibition, which runs until the end of September. Every day from July 21, prehistoric posers can take their own 'dino selfies' at the museum. Props and dinosaur costumes will be on hand along with the terrifying T Rex twins Chomper and Stomper at 11.30am and 2pm. Visitors can also drop in to a free 'make your own dinosaur' activity between 10am and 4pm each day. Beacon Museum Development Manager, Alan Irwin, said: "This is a fantastic value day out for the family. We are adding these activities in with admission prices as we know it can be hard for families to do multiple activities due to costs." 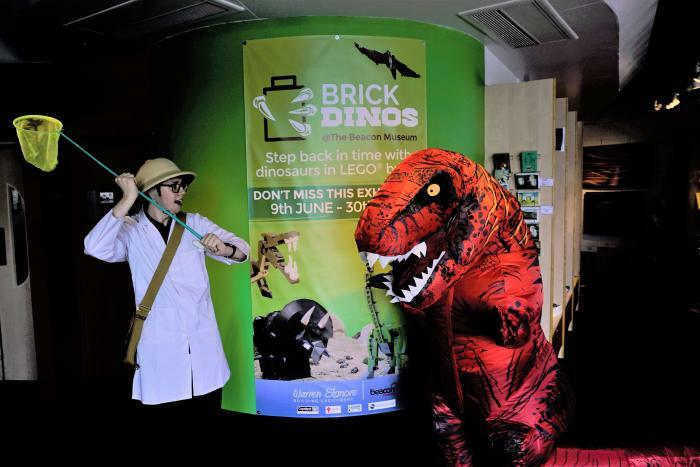 In conjunction with the Taste Cumbria festival in Whitehaven on July 28 and 29, the museum is also hosting Dino Fest, where thrill seekers can hold reptiles and bugs, dig for dinosaur bones and learn about these magnificent creatures through a range of events. All details can be found at www.thebeacon-whitehaven.co.uk, on the museum's Facebook pages, or by calling 01946 592302.